I don’t feel I really understand something until I have had a go at it so, having watched some YouTube videos on Afghan Box Cameras, I had the urge to “waste” a couple of weekends building one. Now it is more or less working and I’ve learnt my lessons I can move on to something else – but wanted to capture here what I have done. Recognition of the amount of tweaking a design needs to get it working. Recognition of the skills required to work one of these things smoothly whilst chatting to the sitter. Admiration for the guys who built and used these for real to earn a living. Here is a video of my attempt. 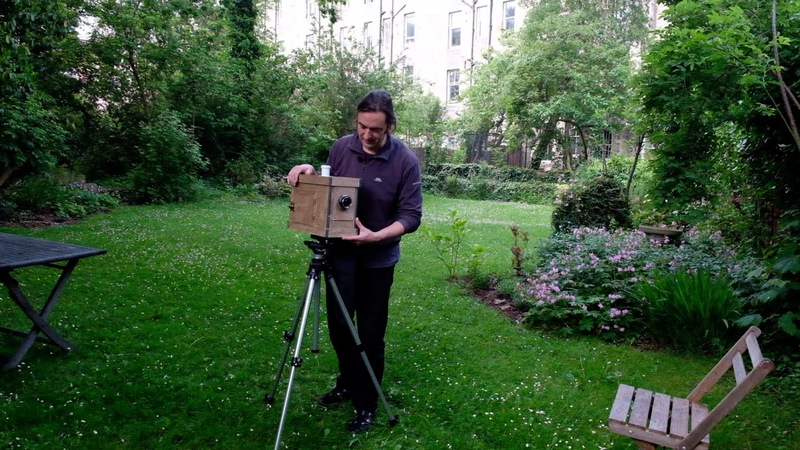 A great place for more information is the Afghan Box Camera Project. There is an artist in Berlin who is using an old Camera Minutera to make interesting portraits. Check out the Camera Minutera – Berlin FaceBook page. Joe Van Cleave did three videos about building a his one and goes into quite a lot of detail. Also check out the beard changes. (Video 1, Video 2, Video 3). My particular camera is going “up top” – which means I’ll put it on our high storage shelf till it takes my fancy again. I’m going to use the lessons learned to build a dark box for developing direct positive prints and contact printing 4×5 inch prints taken with a regular large format camera.